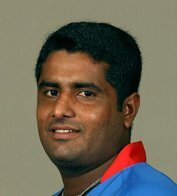 Tolo News: Afghanistan’s wicketkeeper-batsman Mohammad Shahzad has been suspended and will sit out the next two ICC Cricket World Cup Qualifier 2018 matches after being in breach of the ICC’s Code of Conduct. Mujeeb Rahman from Afghanistan was also sanctioned for being in breach of the ICC Code of Conduct during Tuesday’s high-pressure thriller. Click here to read more (external link).